Did you hear? Witchy Poo had a little problem? 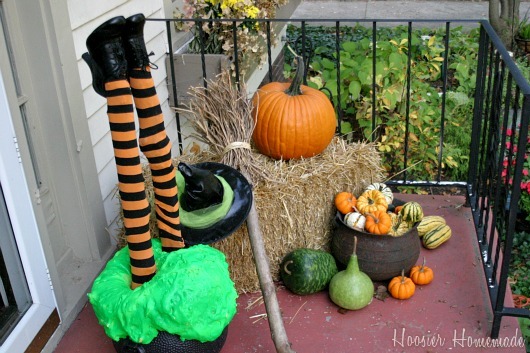 She crashed her broom and ended up in the cauldron! Now our Front Porch is a mess! Happy Friday my friends! 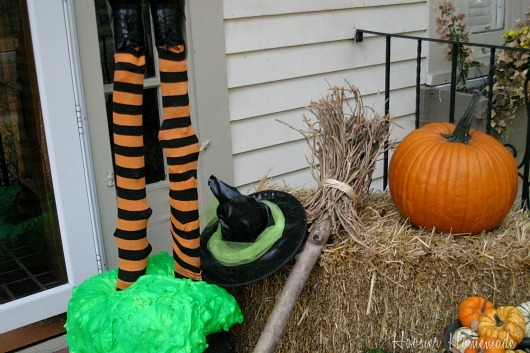 I have a fun weekend project for you to add to the Crashing Witch! 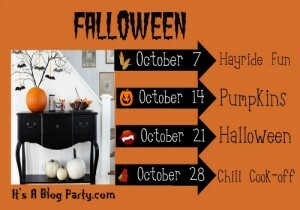 When I was working on the Potion Bottle post last week, I was looking at the Halloween Mantel from last year and was reminded about the Witches Hat Tutorial. Since I never shared the instructions by themselves, I thought you might enjoy seeing it, and I have never shared the Witches Broom we made, so I added that too. 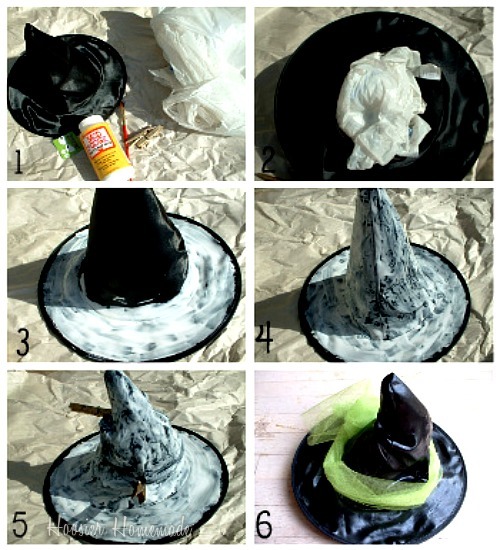 I originally found the Witch Hat Tutorial In This Small House. 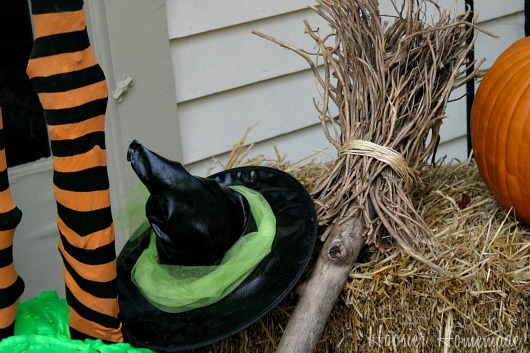 Now let’s make the broom, with just a few supplies that you can probably find in your yard, the Witch Broom is a fun addition to the Halloween Porch or you could even make one to add to a Halloween Costume. 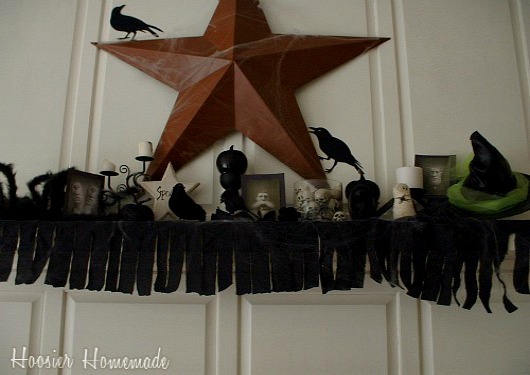 The Halloween Mantel never got decorated this year, mostly because I LOVE the Fall Mantel so much, but I thought you might enjoy it. Grab a cup of coffee and meet us in the Coffee Talk Community for more great ideas! Liz, these legs and the hat are SO cute! I love them!